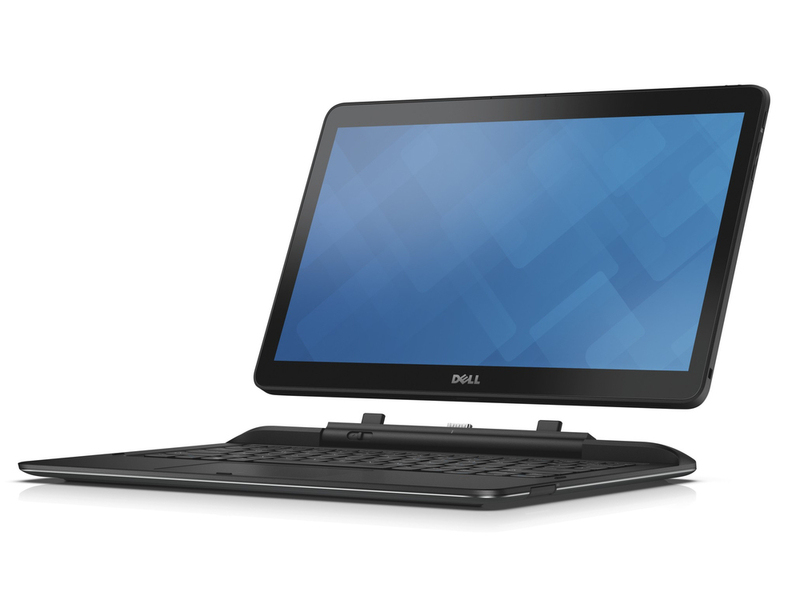 Model: The Dell Latitude 13 7350 is an ultrabook convertible with detachable keyboard dock. The 13.3 inch touchscreen with Full HD resolution is supported by the Intel HD Graphics 5300 and makes this ultrabook an excellent business companion with the Windows 8.1 Pro OS. The Core M processor provides low power consumption and can last 8 hours of Wi-Fi surfing on a full charge. On a full load and maximum brightness, the ultrabook delivers over 4 hours of usage. The backlit detachable keyboard provides excellent prolonged typing sessions. The sleek device weighs just about 860 grams in tablet form that makes it completely portable. With the attached keyboard the device weighs in at 1.6 kg. There is an additional battery in the keyboard dock. As for storage, a 128 GB SSD onboard is more than enough for a business users to store the essentials. Other standard features on this hybrid notebook are two USB 3.0 ports and a headphone/microphone combo jack. The 2 MP camera is decent for video calls and is capable of Full HD video recording. 76.22%: This rating is not convincing. The laptop is evaluated below average, this is not really a recommendation for purchase.